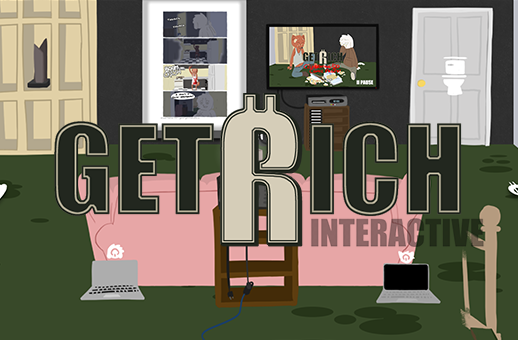 Support the creation of the Get Rich: Interactive site. It takes a lot of work to juggle all the jobs that Gaian has in making the whole Get Rich Series. If you like the interactive site and want to assure its continued creation, toss him a couple bucks to let him know it matters to you. Trust that every dollar earned will be funneled immediately back into Get Rich and Genome Studios. "I love to know you guys like my work and are excited to immerse yourselves into Wolfgang and Hayes' world. I don't plan to stop even without any contributions. But getting any kind of investment for this work will allow me to do huge things with it. Hire other people, work on this full time, and more! Please note: You will not receive any product for contributing to this project. It is simply an act of patronage towards an artist/project you enjoy.